Posted on Wednesday, August 29th, 2018 at 8:20 am. 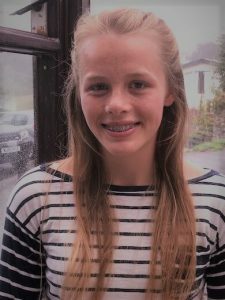 Laura Fraser Smith from Saunton Sands Surf Life Saving Clubs has achieved her Gold Duke of Edinburgh Award. Laura has worked extremely hard completing a four day expedition in the Lake District as well as a five day practical lab course at Liverpool Science Park for her residential. The overall award includes activities in five different disciplines: volunteering, physical, skills, expedition and residential. Laura has now been invited to St James Palace for recognition of this fantastic achievement. Everyone at Surf Life Saving Great Britain would like to take this opportunity to congratulate Laura and all the Saunton Sands DofE team who have supported her on this fantastic achievement.